Graveside services for Billy Dean Trail, 64, Bull Shoals, Arkansas, will be held at 2:00 p.m., Friday, April 12, 2019 at Ball Cemetery, Dora, Missouri, under the direction of Robertson-Drago Funeral Home. Mr. Trail passed away at 4:53 p.m., Wednesday, April 3, 2019 at Baxter Regional Medical Center, Mountain Home, Arkansas. He was born February 18, 1955, at Kansas City, Missouri, to Ralph Trail and Eunice Lorthy Howard Trail. Mr. Trail served with the Missouri National Guard and was a truck driver. He was a friend of Bill W. and enjoyed helping people. 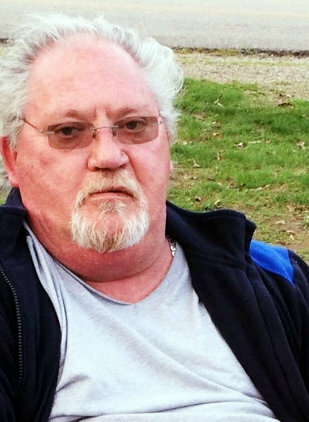 He is survived by five children, Sabrina Spencer, Brandi Rios, Michele Brown, Tracie Madison and Cody Killebrew; nine grandchildren; two great-grandchildren; one brother, Bob Trail and wife, Debi; two sisters, Wanda Hickman and Vaunda Clemens, his dog, Coco; and several nieces and nephews. Visitation will be held from 6:00 until 8:00 p.m., Thursday, at Robertson-Drago Funeral Home. Memorial contributions may be made to the Family and may be left at Robertson-Drago Funeral Home.